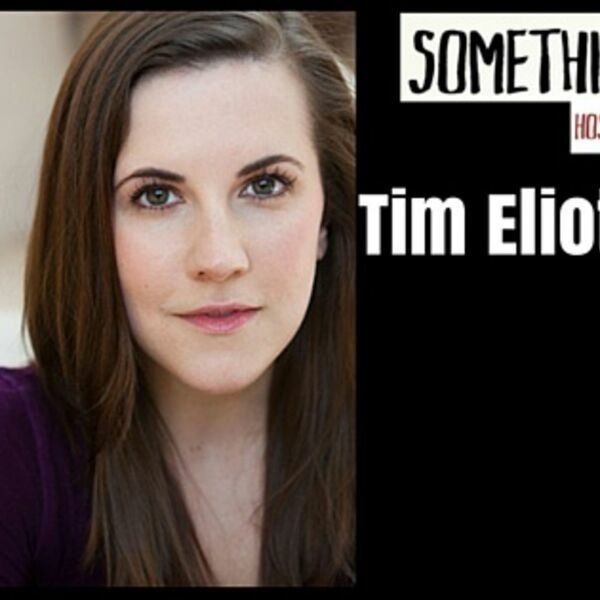 In Episode 411 of "Something New" -- a musical theatre podcast that interviews artists and premieres original songs -- award-winning songwriter Joel B. New sat down with Tim Eliot and Lauren Sowa, a real-life couple with an enormous bag of theatrical skills between them. Tim Eliot met Lauren while doing Cymbeline in Maine. He has been featured on Boardwalk Empire, in Christina Kallas’s The Rainbow Experiment and Keith Boynton’s Seven Lovers, and on the webseries The 3Bits, duder, and Pride. A veteran of classical and downtown theater, Tim played MacBeth and Hamlet with Everett Quinton and many Sleep No More alums. He has also directed NYC productions of Much Ado About Nothing, Erdman’s Suicide! ?, and Romeo and Juliet. Tim recently finished his second year of study with William Esper and holds an MFA from the ART/MXAT Institute and a BA from Yale. www.timeliot.com Lauren Sowa is thrilled to be taking part in this podcast! Lauren is a graduate of NYU’s Tisch School of the Arts where she received her BFA in Drama. She is a big-time animal lover, and has yet to meet a pretzel she doesn't like. When not acting, you can find her reading a good book, catching up on old films, doing yoga, and watching soccer (Tim’s influence). Recent credits include: Harvey and Private Lives (Walnut Street Theatre), the title character in Jane Austen’s Emma for the Lantern Theater Co. in Philadelphia. Other credits include: Imogen in Cymbeline (Opera House Arts), Othello and Much Ado About Nothing in repertory (The Philadelphia Shakespeare Theatre), Juliet in the North Carolina Shakespeare Festival’s production of Romeo & Juliet, We’re Drunk/This is the End at The Old Vic as part of the TS Eliot US/UK Exchange (Kevin Spacey’s program for emerging theatrical talent), and All’s Well that Ends Well and Hamlet at the Alabama Shakespeare Festival! www.laurensowa.com For the live song portion of the episode, Lauren and Tim premiered "A Duet", music and lyrics by Joel B. New. Tim also performed "Omission" from New's chamber musical, RSVP. Accompanied by Justin Brown on piano (www.justineliottbrown.com). These performance will also be available on SoundCloud and YouTube. "Something New" is available on iTunes, Stitcher, and TuneIn. Joel B. New is the recipient of an American Theatre Wing Jonathan Larson Grant for his music and lyrics. His stage projects include TO HELL AND BACK, MACKENZIE & THE MISSING BOY, AWAKENING (book: Jenny Stafford, music: J. Oconer Navarro), STANDALONE, AGATHA IN THE ATTIC, and RSVP. Joel’s work has been seen and developed at Ars Nova, Lincoln Center, 54 Below, New York Theatre Barn, Prospect Theater Company, Musical Theatre Factory, and the 2015 New York Musical Theatre Festival. He is currently in pre-production for his solo EP Cabot Cove, a collection of songs inspired by book titles referenced to in the TV series Murder, She Wrote, starring Tony Award winner Angela Lansbury. For more info, visit joelbnew.com.